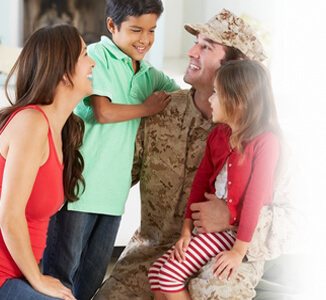 As a thank you to our brave armed service members, VillaDirect offers a 5% military discount for all active military personnel. This includes veterans who served in the United States military. It’s not a “Veteran’s Day” discount, but a year-round promotion. Simply click on the button below to find the perfect place to stay. The system will automatically apply your discount to the nightly rate. If you would rather book over the phone, just mention your military status to one of our reservations team and we can apply your military discount. Please note: This offer cannot be combined with any other discount, refund or promotion. This offer does not apply to “Basement” or “Base-rate” season rates, (which are already heavily discounted), applied to any booking already made online or through a partner channel, and only available at the time of booking. Furthermore, this offer CAN be used with VillaDirect’s Lay-Away-and-Stay payment plan. This offer and all special offers are subject to Blackout Dates (click link to check excluded dates). The Company reserves the right to refuse to offer reservations to homes during blackout periods.